TOP L-R: Jose Eduardo Menjibar-Alaman, 18; Oscar Alberto Parada, 20; Almicah Hernandez Sergovir, 18. LOWER L-R: Jose Martinez Serrano, 18; Jose Irving Guzman Dominquez, 23; Katherine Abigial Lopez, 17. Six suspects have been arrested in the early Tuesday morning murder of a man in Suitland, Maryland that left evidence scattered across multiple crime scenes. Prince George's County Police have arrested a 17-year-old girl and five men ranging in age from 18 to 23. Authorities say an argument between the suspects and the victim, 54-year-old Amos Milburn Jones, led to the killing. Jones' body was found around 1:45 a.m. Tuesday behind a shopping center in the 4600 block of Huron Avenue. A witness told News4 that he saw several people fighting in an alleyway behind a Suitland shopping center before later finding the body of a man. Authorities say the suspects have all admitted to varying degrees of involvement. 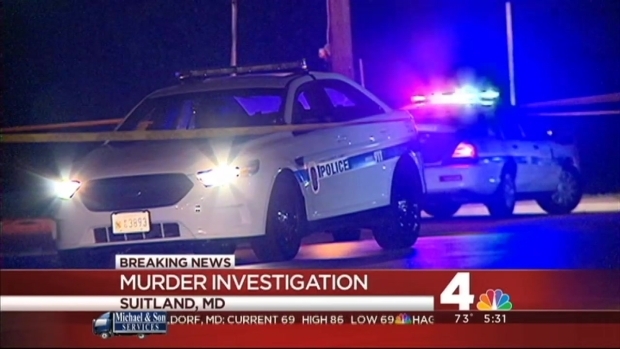 Police are still searching for evidence in a murder in Suitland early Tuesday. A woman said she and her boyfriend were with the victim shortly before he was found dead. She said she thinks there was an argument between the victim and a group of people. Lopez, a juvenile, is being charged as an adult in the crime. "This is a senseless crime that needlessly ended a man's life," said Prince George's County Police Chief Mark Magaw. "Such blatant disregard for any member of our community is deplorable. I'm grateful to our officers and detectives for quickly closing this case." 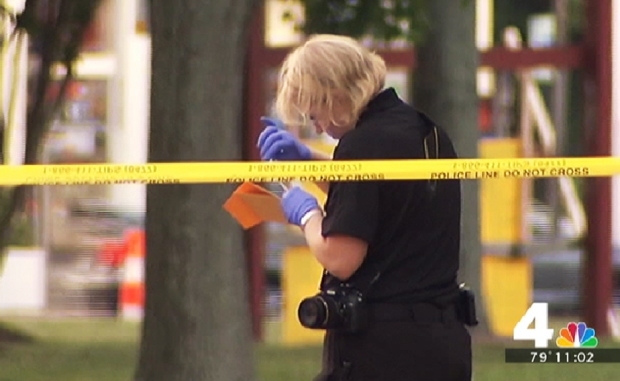 Police are collecting evidence at multiple scenes near where a man was found dead early Tuesday in Suitland. Several roads are closed, cutting off access to the main gate of the Suitland Federal Center. Investigators collected evidence in several areas Tuesday morning, including the alleyway where the victim's body was found, and the playground of the nearby Regency Court Apartments on Swann Road. A man who called police after finding Jones' body told News4 that he had seen the victim get into an argument with several people. 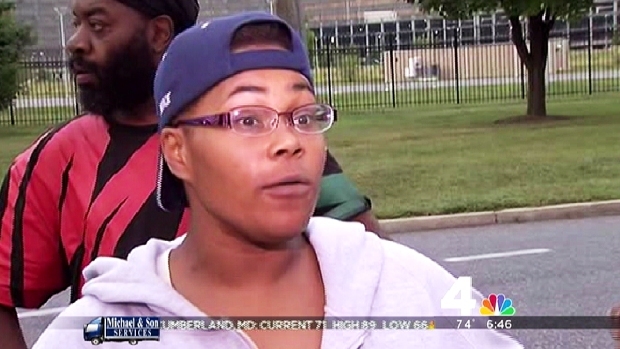 "I saw the two guys, the first two guys fighting. Then they left. Then I saw [a] girl and four other guys," the witness said. "And that's when I left. Then... when I came back, I saw somebdy laying in the alley, and it was him."